PAUL DERVAN: Dave Trott inspires creativity on a shoestring. Dave Trott inspires creativity on a shoestring. 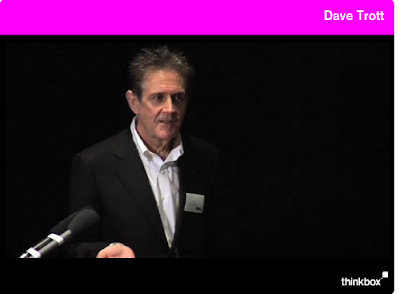 Fine video of advertising legend, Dave Trott, talking (teaching) about creativity on a shoestring. He demonstrates with some low-budget, yet effective, TV ads. The video is ten minutes long. A must see. Here.